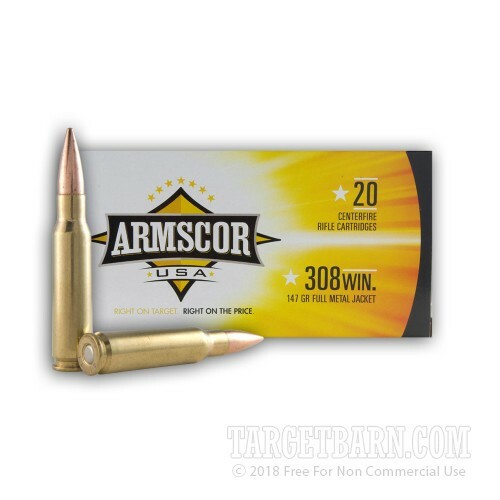 Expect good long-range accuracy at an affordable price from this .308 Winchester ammunition from Armscor. 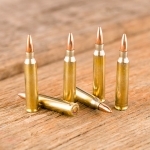 This ammo works well as a target load for .308/7.62 NATO rifles such as the AR-10, M-14, and Remington 700. 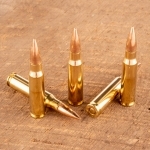 Each cartridge in this 20-round box fires a medium weight 147 grain full metal jacket bullet at a muzzle velocity of 2,700 feet per second. 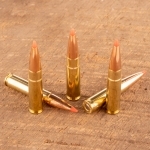 This produces external ballistics similar (though not perfectly identical) to M80 mil-spec ball. 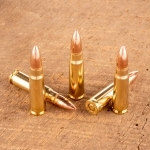 This ammo is made in the USA using non-corrosive Boxer primers and reloadable brass cases.